Ideal for layering, the Extremities Waterproof Sticky Power Liner Gloves offer waterproofing and breathability in a quick drying stretch composition. 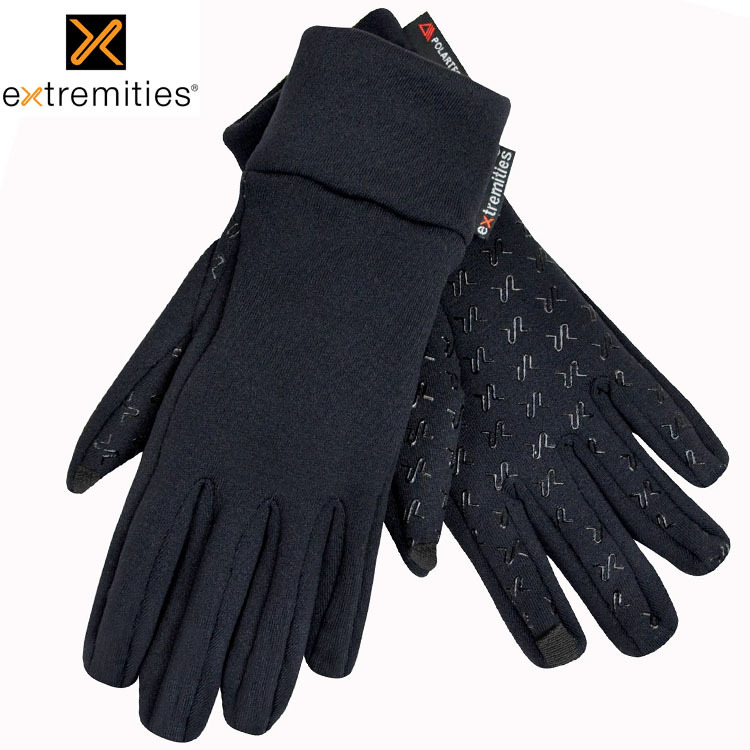 Made with 100% polyester, these gloves can be used as a baselayer or on their own. Featuring silicone grip zones on the palms and fingers, as well as 3 ounce synthetic insulation, these gloves provide protection and practicality in abundance.